Maroochydore is often described as the heart of the Sunshine Coast – and with good reason. Known for its extraordinary beaches and river precinct, as well as shopping and dining options, it truly is both the cultural and geographical centre of the Sunshine Coast. With the development of the new world-class CBD, Maroochydore is on the fast track to becoming a centre of commerce, technology, innovation, entertainment and inner-city living. 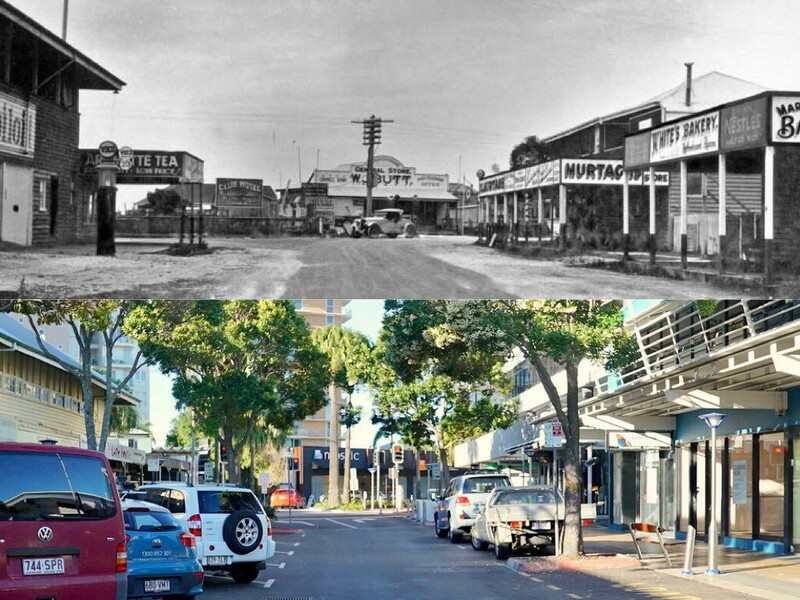 Now that the area is changing faster than ever, we wanted to take a look back at the history and see just how far Maroochydore has come. Andrew Petrie, a pioneer and architect in Brisbane, christened the area Maroochydore in 1842 . The name comes from the word “murukutchi-dha” in the language of the Brisbane River Aboriginal people who accompanied Petrie on his exploration. It literally means “the place of the red bills” – after the black swans that still call the Sunshine Coast home today. From 1884 the area was mainly used for grazing cattle, while the river provided a passage for timber to be transported by raft. This was the year the very first house was built in Maroochydore, with a sawmill and the first post office to follow in 1891. In 1908 the first land sale in the region marked the beginning of development of Maroochydore as a seaside resort and holiday destination. Maroochydore as we recognise it today began to emerge in 1912, beginning with opening of the first coastal hotel and a regular mail boat service to Yandina. In 1916, one of Queensland’s first surf lifesaving clubs was formed in Maroochydore (and it’s still there!) and in 1917 a boat and tram service began operating to Nambour. By 1920, the permanent population reached seventy, and during the following decade it had grown enough to necessitate schools, churches, business houses and a bitumen main road. It wasn’t until the 1960s that the area developed as a major tourist destination. The local population doubled between 1961 and 1971 to 6374. Today the region’s population has risen to over 18 000, with thousands more vacationers travelling to the idyllic coastal spot each year. The brand-new CBD development is poised to renew the area by supporting economic development, providing much needed infrastructure and creating a world-class central business district for the Sunshine Coast. The first stage of the CBD development is already underway, and is expected to generate up to 30 000 jobs by 2040 and boost the Sunshine Coast economy by $4.4 billion. 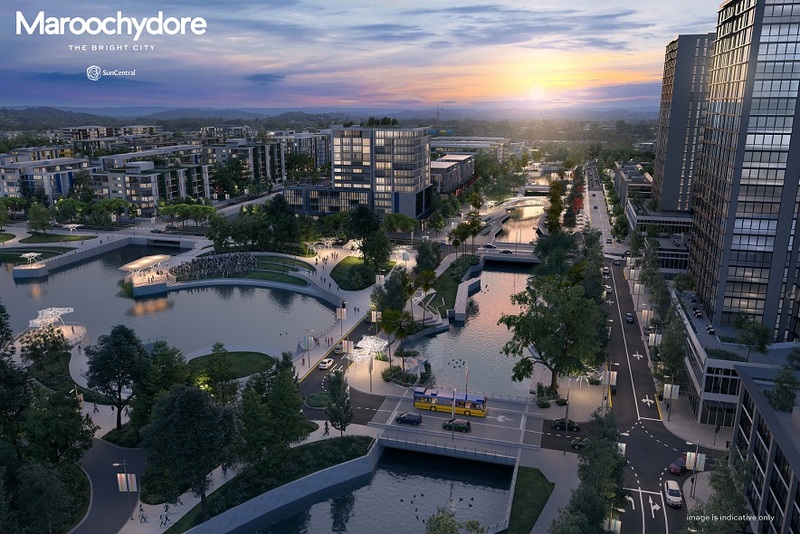 With unique technology initiatives such as automated underground waste collection, clean energy and streets built to accommodate driverless cars, the new Maroochydore City Centre has been designed for the 21st Century and promises an exciting future for the Coast. An approved and fully funded $347 million expansion of the Sunshine Coast Airport has also begun, and by 2020 will service flights directly from key destinations in Asia and the Western Pacific. There’s no doubt Maroochydore has come a long way since its humble beginnings, and the area is definitely growing up. With a hard-to-beat waterfront lifestyle and an upcoming vibrant city centre, it’s turning into a truly unique location. 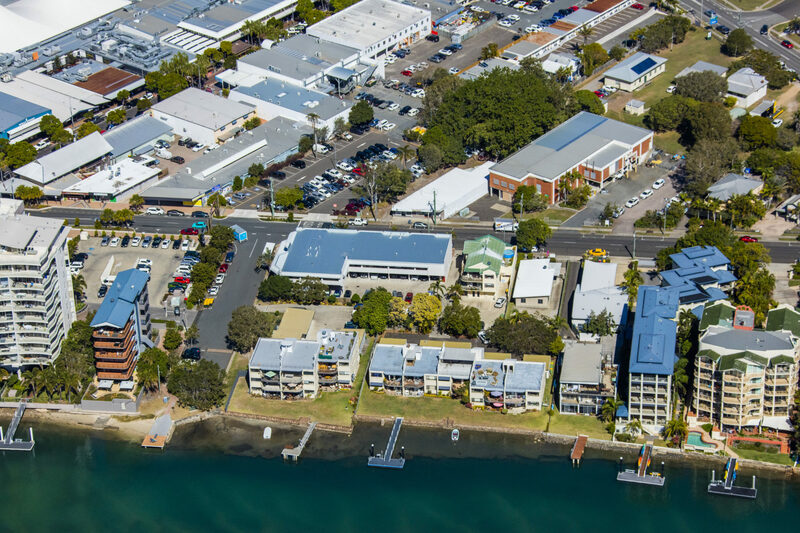 If you’d like more information on Maroochydore infrastructure and what’s in store for this amazing region, download our free Maroochydore Region Report here.